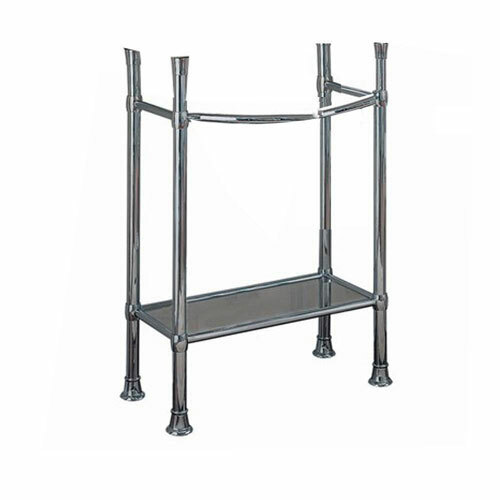 The American Standard Retrospect Console Table Legs feature integral side and front bars ideal for hanging towels. The legs are finished in polished chrome for versatile style that is sure to enhance any bathroom setting. These legs also include a clear, tempered glass shelf that provides additional storage space for bathroom accessories. Designed for use with a fireclay sink (sold separately), this piece coordinates with the entire Retrospect collection for a complete, complementary look.